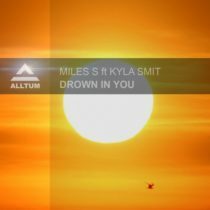 There is so much talent in South Africa and this guy is no exception: meet Miles S a fresh new Deep House and Indie Dance Producer from Johannesburg. Miles worked with Kyla Smit on their debut track “Drown In You” and this is going to be the perfect track for the upcoming summer months. For the remix we asked Senseekers to do their magic and they surprised us with 2 totally different remixes.